In 1995, Ferry moved to Penn State to accept an endowed chair in the Department of Biochemistry and Molecular Biology. He has authored more than 200 scientific publications and is a fellow of the American Academy of Microbiology and past editor of the Journal of Bacteriology. He has served on numerous national committees and currently is co-chair of the Committee on Astrobiology and Planetary Science that advises the federal government on matters of space exploration. Ferry recently created the James G. and Marilyn A. Ferry Endowed Scholarship to assist students with a strong desire to learn and who have the need for financial assistance. 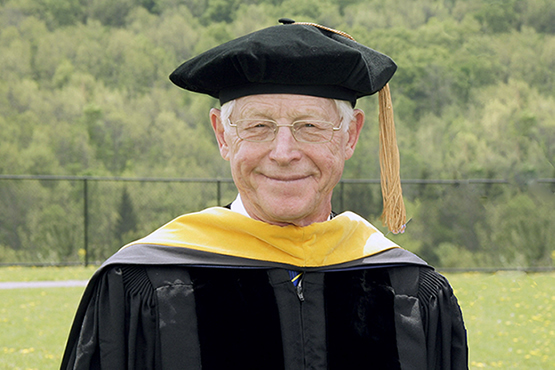 He served as the speaker for Alfred State’s 104th Commencement on May 17, 2015.